Studied painting with Dimitris Mytaras as her teacher and engraving at the Athens School of Fine Arts with a scholarship from the State Scholarship Foundation from 1992-97. Master in Arts in Athens School of Fine Arts with a post graduate scholarship from the State Scholarship Foundation for the years 2003-04, with Tassos Christakis as her supervising professor. 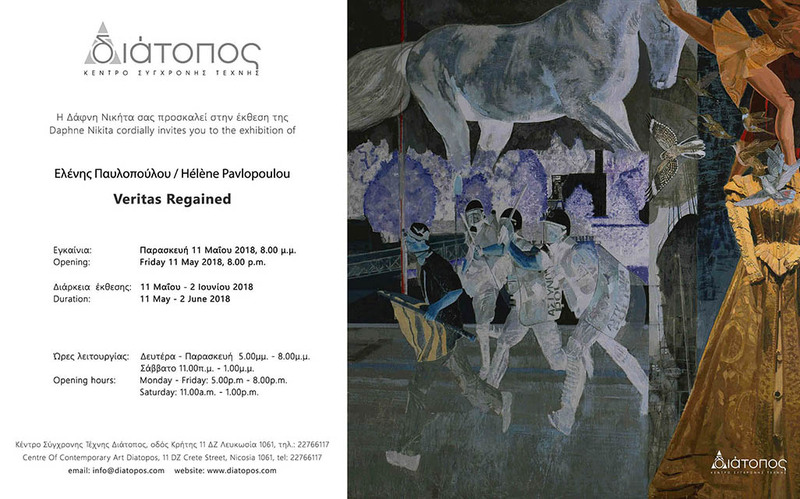 She has held solo exhibitions in Athens curated by Manos Stefanidis, Dora Iliopoulou-Rogan, Eleni Gatsa, in Paris curated by Syrago Tsiara and Thalia Vrachopoulos, Constantinople, in Brussels, under the Auspices of the Greek Presidency of the Council of the E.U. curated by the hellenist spanish writer Pedro Olalla. She has also taken part in numerus Art Fairs, Art London, Art Athina, Art Instanbul, Busan Art Fair in South Korea etc. 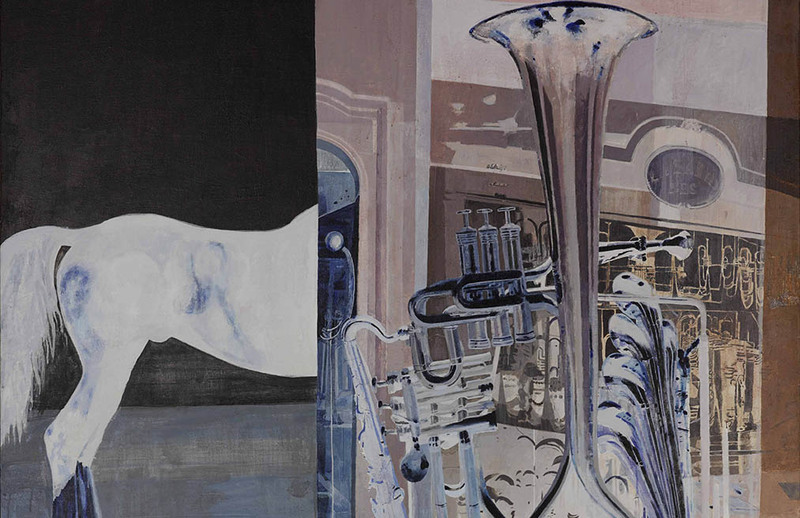 and group exhibitions in Museums in Greece, Europe, USA and China. As in Museum of Contemporary Art of Thessaloniki, Frissiras Museum Athens,Catsigras Museum,Larissa,Creece, National Gallery of Athens, National Museum of Art,Beijing etc. 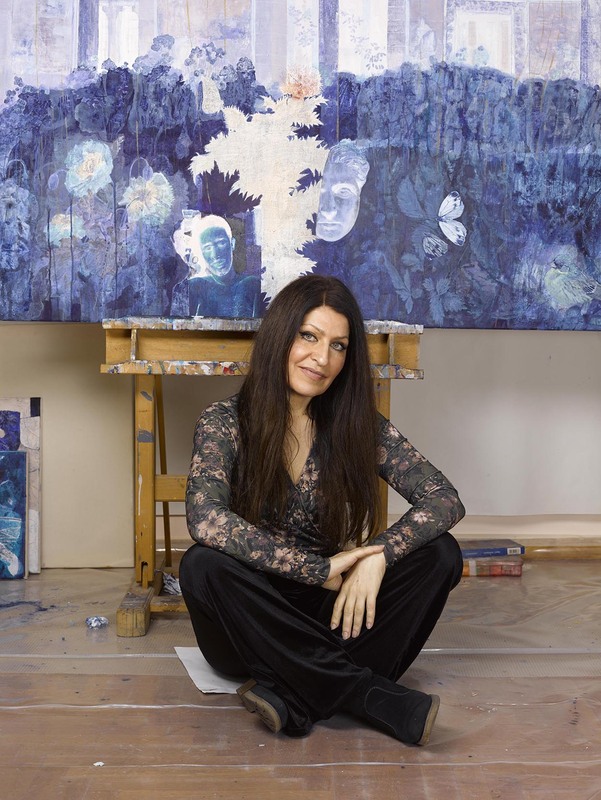 Also she had her first show in NY in the exhibition ‘’Woman,Mother,Daughter,Wife,Friend…’’invited by the global Art Historian and curator Thalia Vrachopoulos at the President’s Gallery in Jay College, NY. In 2017 participated in Biennale of Beijing invited by the State Museum of Contemporary Art of Thessaloniki in exhibition ‘’The Body The Soul The Place’’, curated by Maria Tsantsanoglou and Syrago Tsiara. 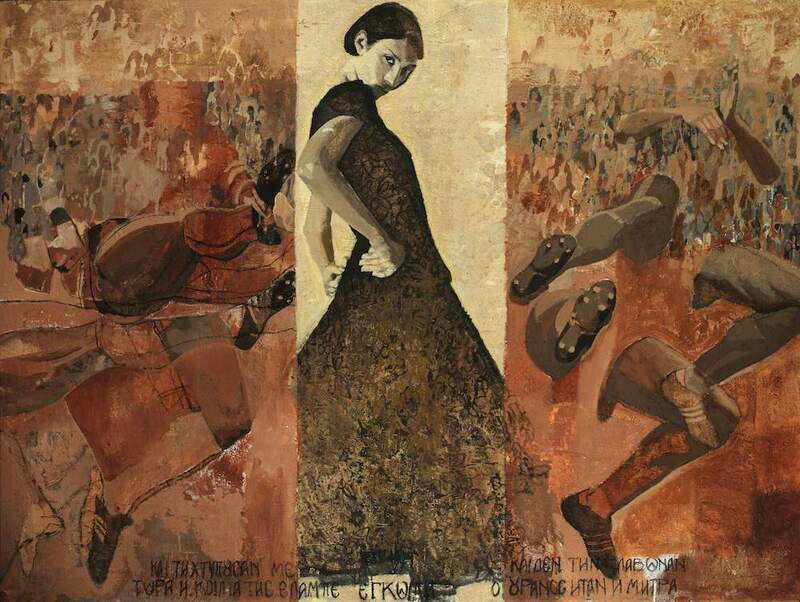 Works by Helene Pavlopoulou are to be found in private and public Collections, such as, inter alia, the Art Collection of the National Bank of Greece, the Bank of Piraeus Group, the Copelouzos Family Museum, the Frissiras Museum, the Thessaloniki State Museum of Contemporary Art and many other private collections in Europe and USA. "Helene Pavlopoulou is a distinctive young Greek artist, whose work combines qualities that appear to be antithetical, such as sensitivity, starkness, lyricism and vigour: qualities whose osmotic force exceeds the stereotypical approaches of “feminine expressivity"
""Helene Pavlopoulou’s Dithyrambs of Liberty series fits into the post-modern art paradigm in that it is inclusive of other cultures and periods. 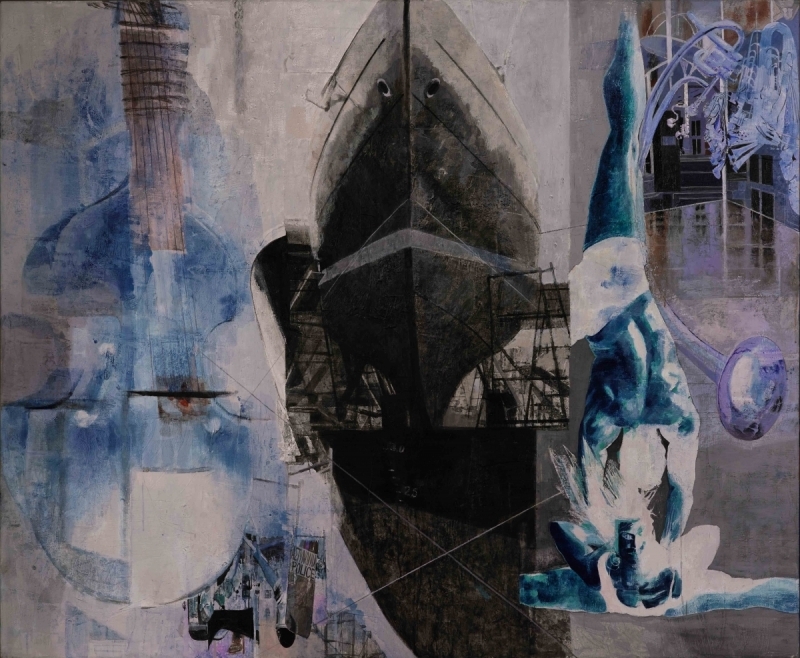 Globalization with its many cultural influences has impacted not only her work, but that of most artists around the world." "Let’s not deceive ourselves. 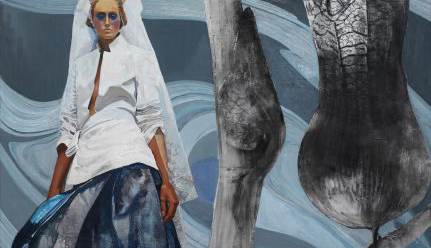 Helene Pavlopoulou’s painting cannot be perceived at a single glance. Despite the intense colours she uses, the clearly distinguished and well-formed shapes, the red and gold fires, her paintings aren’t the least explosive. On the contrary, they contain a mysterious leisureliness. They could be a flower opening its petals; a shadow dragging along the wall; a ripe fruit oozing; or even a wound bleeding."